THE B-MOVIE NEWS VAULT: STOCK YOUR VAULT: New DVDs & Blu-rays for 10/24/2017! STOCK YOUR VAULT: New DVDs & Blu-rays for 10/24/2017! Just SIX MORE DAYS UNTIL HALL-O-WEEN! SIL-VER SHAM-ROCK! 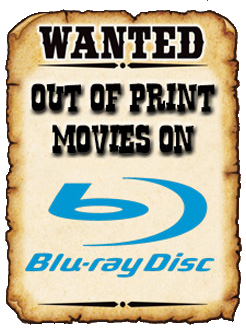 Welcome to yet another edition of STOCK YOUR VAULT, as we here at the News Vault continue our efforts to keep collectors of physical media up to date on the latest Cult, Horror, Sci-Fi, and Exploitation DVD & Blu-ray releases! ANNABELLE: CREATION and WAR FOR THE PLANET OF THE APES are both available now on DVD & Blu-ray, Kino Lorber gives THEY CALL ME BRUCE? and NIGHT ANGEL their Blu-ray debuts, Arrow Video unleashes their 2-Disc Special Edition of BLOOD FEAST, and Vinegar Syndrome shows some love for THE CORPSE GRINDERS! 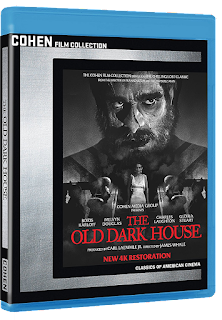 Also of interest are Warner Archive Collection's Blu-ray of NIGHT SCHOOL, Sony's HD release of the once thought lost THE OLD DARK HOUSE, and Doppelganger Releasing's EVIL IN THE TIME OF HEROES, a new Greek Zomb-edy! For the full list of this week's titles, just scroll on down! And to keep up on what's coming to Blu-ray between now and January, CLICK HERE to visit the Upcoming Blu-rays Page! Contains: The Conjuring, Annabelle, The Conjuring 2, and Annabelle: Creation. Contains: The Return of Dr. Mabuse, The Invisible Dr. Mabuse, and The Death Ray Mirror of Dr. Mabuse.